Come join Scrap-a-Doodle-Doo for our Spring Weekend Get-Away. 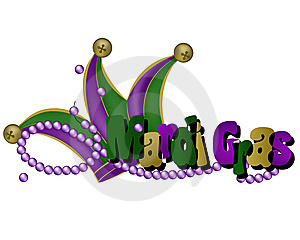 This will be a Mardi Gras themed event. YOUR WEEKEND INCLUDES: • Four feet of reserved cropping space (additional space available for an extra fee) with power at every table. (There is no need to bring extension cords / surge protectors or tape). • Two-night hotel stay (depending on package selected) • All Meals included: Friday - dinner; Saturday - Hot & Cold Buffet Breakfast and Omelet Station, lunch, dinner and late night snack; Sunday - Hot & Cold Buffet Breakfast and Omelet Station. • Each room has a 42" LCD TV, a safe, as well as a Keurig coffee maker.• Optional Classes and/or Workshops • Beverage station (coffee/tea, water and soft drinks) through-out the weekend • 24-Hour Business Center and complimentary wi-fi through-out the hotel. • There is an on-site bar • Bellmen will assist with your luggage and scrapping supplies.• On-site massage therapy, as well as reflexology sessions in a private and relaxing setting • Themed Activities and Games, as well as Prizes, Give-Aways and Goodie Bags • On-Site Vendors • Access to the Tool Station and Cricut Station with the Expression and the Personal Cricut, as well as an expanded selection of cartridges. Just bring your own cutting mat(s) and any specific cartridge(s) you plan on using. • Access to the on-site Fitness Center • All taxes & gratuities are included (no surprise costs) A non-refundable deposit of $100.00 is required at the time of registration. Package details can be found at www.scrap-a-doodledoo.com You may register in-person, call us at (201) 818-7060 or online. If paying online, please select STORE PICKUP as your delivery method to avoid shipping & handling charges. If the balance is not paid 30 days prior to the event, a $25.00 late charge will be applied. PLEASE NOTE: There are no refunds for any cancellations made within 14 days of the start of an event nor any transfers to a future event.